No matter your age or physical wellness, it is critical to have routine eye tests. During a full eye examination, your Professional Vision optometrist will not merely analyze your prescription for glasses or contact lenses, but he will certainly inspect your eyes for typical eye illness, assess specifically how your eyes interact in tandem and also assess your eyes as a sign of your total wellness. 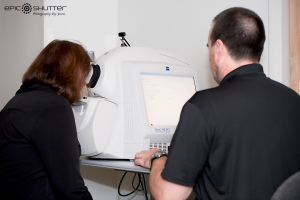 An in-depth eye test at our facility includes a variety of fundamental tests along with treatments to assess and also review the wellness of your eyes as well as the level of your vision. These tests range from standard ones, like having you check out an eye graph, to intricate exams, such as utilizing a high-powered lens to look into the wellness of the inside of your eyes. Children. Some professionals approximate that anywhere from 5% to 10% of pre-schoolers along with 25% of school-aged young people have vision problems. According to the American Optometric Company (AOA), all young people have to have their eyes examined at 6 months, age 3 and again at the start of school. Youngsters without vision problems or risks for eye or vision problems still require vision screening a minimum of every 2 years throughout their school years. Kids with existing vision problems or risk factors should have their eyes checked more frequently. Typical risk factors for vision difficulties consist of: development delays, family history of eye ailments, premature birth, previous history of eye injury, turned or crossed eyes, various other bodily diseases or illnesses. The AOA recommends that children who use glasses or contact lenses should have their eyes assessed at the very least annually or based on their optometrist's directions. Learn more concerning Pediatric Eye Examinations. Adults. The AOA likewise suggests a yearly eye test for all adults that use glasses or contacts. If you do not usually require vision modification, you still require an eye examination every few years until the age of 40, depending on your rate of visual adjustment and total wellness. Physicians frequently recommend a lot more regular evaluations for adults with diabetes, high blood pressure as well as various other ailments, taking into consideration that many health problems could possibly have an impact on vision, eye health and wellness. If you are over 40, it's a good idea to have your eyes analyzed every one to two years to check for typical age-related eye difficulties such as presbyopia, cataracts as well as macular weakening. Thinking that the risk of eye ailment improves with advancing age, every person over 60 needs to have an annual eye test.